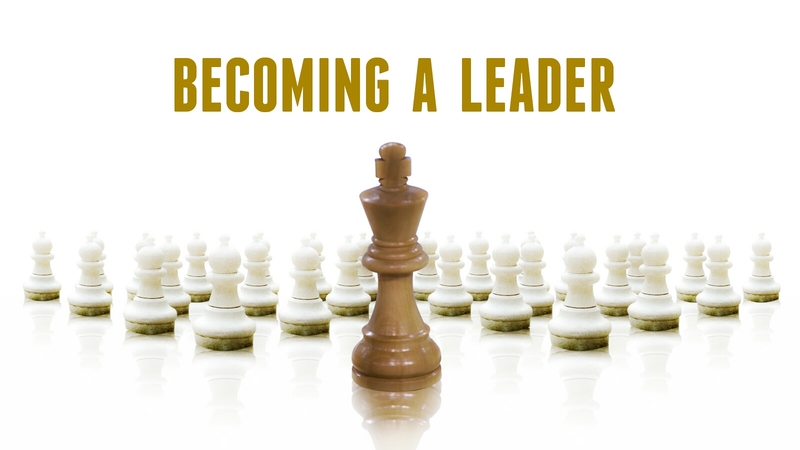 What is the first thing that crosses your mind when you listen to “Becoming a leader”? Is it having excessive authority, being respected by many people, surrounded with facilities and priorities? Or……. Jesus was much respected by His disciples, He took off His robe, girded Himself with a towel as a symbol that He positioned Himself as a modest servant. If we want to become a leader who is favored by God, we also need to take off our “Robe”, be it our pride, status, ego and all the attributes that displays our proudness, and then we learn become a humble servant. Becoming a leader is not about physical activities but also about humility. An arrogant leader tends to do things as he wishes, look down and dont appreciate his people, and is hungry for respect. Humility talks also about the willingness to see our people can be great , or even greater than us. Leadership is about being of service to other, not to served by others. Set an example and stop ordering them according to your own will. As a leader, we could not demand to be served and honored for “WHO are we” and “WHAT is our position”, but let us set an example in our speech and action. Then people will look up on us, not because of their obligation, but because of their respect from the deepest of their heart. The higher the position and more people to be led means that the bigger responsibility which the leader need to handle. Moses was chosen by God to lead millions of Israelite. Moses had to face many characteristics of the people and solved the problem for them. Moses realized he would not able to handle everything on his own. Because of it, Moses listened to his father in-laws to promote a leader of one thousand people, hundred people, fifty people and also for ten people (Exodus 18:21-26). A leader has to delegate part of his responsible to others. Not for anyone but those who are skilled and have fear of God. They need to be honest and trust-worthy. These qualified people will be given responsibility according to their ability. They won’t be given task and later be ignored, but they will receive training and supervised until they become great. So, how should we respond when people who we lead make a mistake? In Exodus 24:12-14, God ordered Moses to be on the top of mountain. Before leaving, Moses gave trust to Aaron and Ur to be in charge of every problem that might occur when Moses was not around. The problem arose when the Israelites could not wait for Moses to come back (Exodus 32). In the middle of chaos, Aaron made a wrong decision. He molded a gold calf. God was so mad that He saw the Israelites bowed to worship this idol. God even wanted to destroy and replaced them with Moses’ descendants, but Moses didn’t stand up for Aaron to defend himself. Moses bore all the responsibility by asking for God’s forgiveness upon Israelites. And if God wanted to, Moses would be willing to erase his name from the Book of Life. We can see how big Moses’ heart was. Bearing a responsibility is not about completing task, it also means willing to love people who God has trusted us to lead. As God’s children, God puts us as a leader in order to become a blessing. God wants us to be successful and excel in everything we do. But above that, God wants us to channel His love to people that we are leading. Let us start to love and appreciate them as a “person”, not an “asset” in our organization. In love, there are rebukes and discipline, but also there is warm embraces. There is a time for a consequence when they commit a mistake, but also a time to help them rise from their failure and give them second chance. Saul and David are two great figures on the Bible. Saul was appointed and anointed by God to become the King of Israel (1 Sam 9:16-17). David went through the same experience, too (1 Sam 16:12-13). But what did make the difference between them? Character and heart! In one of the battle against Philistine, recorded on 1 Sam 13, Israelites were on the edge. Before it happened, Samuel had ordered Saul to wait for seven days until Samuel told him what to do next (1 Sam 10:8). But because Samuel had not appeared soon, the Israelites were about leaving the King Saul. King Saul was afraid to be left behind, he made sacrifices with a burnt offering and peace offering which were supposed to perform only by the priest. When Samuel came and confronted Saul, he denied, defended himself and didn’t repent to God. Then God removed his kingship and gave it to David because God saw his attitude (1 Sam 13:13-14). Now, let us have a look at David. Although he had been anointed as king, it took couple of years to make it came true. And during these years, David had experienced many processes. He started to become a servant and armor bearer of Saul (1 Sam 16:21-22), became a hero that defeated Goliath and was being hunted down by Saul. Saul was full of envy and thirsty of power. The folk’s song “Saul has slain his thousands, and David his ten thousand” has made Saul felt underrated and threatened. On the other side, David believed that the throne was given by God to him. David never thought to compete against Saul. Saul didn’t obey and fought back against God, but David felt regret and repented immediately when Nathan, the prophet, rebuked him for his sins with Bathsheba. Looking over his attitude, David has found the favor of God. Ability may get you to the top, but the true character and heart that will keep you there. We have seen many of great leaders that started their leadership right, but they were fail in the process. Some of them could get on their feet, but many of them still stuck in their failure. Great leaders are not them who are never failing, but people who are realize of their wrong, willing to change and strive over their failures. The heart is the source of everything. A righteous heart can help the leader to do the right things and keep him in enduring when God is processing him. Every time he can strike against all the circumstances, then his character will be molded and transformed. David had started his process long before Samuel anointed him. David could surpassed all the pressure and fleeing since he had firm foundation. David built his relationship with God thru his quite time with God, he worshipped God with his harp and he shepherded his small amount of sheep faithfully. Through this writing, I encourage each of us to be a leader like David, who accepted the rebuke humbly and wanted to repent immediately. Let us build our strong faith and have an intimate relationship thru prayer and fellowshipping with Holy Spirit. May us can be faithful on small things that God has trusted, preserve during process, walk on the right tracks, and do not go aside from God’s word. As Christ’s follower who is trusted to be a leader, people will not only measure of “WHAT IS” our achievements, but also assess the “HOW” we achieve it. That’s why we must have big integrity than the leaders outside of Christ. Integrity means determined to apply value of the truth CONSISTENTLY in any situation. In this case, the value that we hold is a higher value than the morals and norms of society, which is THE GOD’S WORD. People with integrity have sincerity and honesty. He will not become specious, and don’t have hidden agendas. What they say is what they do. Leaders with integrity will be not in “gray area” and not “stand on two boats”. Leaders with integrity will be always consistent in words, attitudes, and actions. They resolute and will not make compromise, not ashamed to admitted their mistakes, and willing to accept advice and criticism. Skill can be trained, the knowledge can be learned, but integrity comes from the deepest of the heart. Integrity does not come just one night, but formed due process, maturity, and awareness. That’s why leaders with integrity are “expensive”. We are able to achieve something if we have the ability and strong will to go forward. But if we do not have INTEGRITY, then all of it will only be a stumbling block for others as well as a snare for ourselves! Because without integrity then we will justify any means in order to get what we want. In the end, sooner or later we will fall. Let’s be leaders with integrity so we could glorfy God in every step of our leadership. We are called by God to not only set up an organization, but to build men who are inside. Jesus called His twelve disciples with various backgrounds. For three and half years, Jesus has invested in each of His disciples. He put inside them the value of Kingdom, changed the way they think, built a strong mentality, and also changed their paradigm. One of His disciple (Judas) had chosen his own way, but another eleven disciples who had been transformed become full of fire apostles and willing to bear the cross to spread the Gospel. That time, David did not have the trained and scholar soldiers with him; they didn’t come from royal family, either. They were 400 people with bitterness, in distress and were nothing but trouble to the society. But under David’s leadership, they had transformed to become strong and loyal soldiers. A leader who owns God’s heart can see through the potential inside somebody over their current problems and weaknesses. Take this time to impart the values of life for people that we lead. When they become great leader, our organization also becomes better. God has said in 2 Tim 3:1-9 about the last days. It is not easy to be a righteous leader in the middle of this corrupted world. From the time to time, the challenges and obstacles are getting bigger. We also see that the God’s children are often offered with frontal choices, either to be righteous but have to suffer disadvantages, or compromise with sin but surrounded by advantages. The world constantly offer us a dilemma. Wisdom and harmless could not be apart, being wise (shrewd) without harmless will make us sly, and harmless without wisdom will make people can take advantages of us. We need to build everything in our lives on the strong and rooted Rock, so we will not be waived and swayed of the world’s currents. We have to believe and stand firm in God’s Word and do not go aside from it. It is not easy, but we can do it as long as we don’t depend on our own strength. We have been talking about leaders that have a servant’s heart, carry big responsibility, and have a good character and true heart, having integrity, build a human, and stand firm on the Truth. But it all will be not endure if we don’t have the most important thing and become a major requirement as a leader: FEAR TO GOD! A good Christian leader must have heart that fear to God! We could be a good people just because we afraid to get the consequence if we are not obey to God. BUT if we aren’t having a heart that fear to God then the goodness will not win when facing the temptation. There is difference between fears to God with fear of “God’s punishment”. Many people fear to God’s punishment. They fear get into the hell, they afraid will not blessed by God, they afraid get infernal, etc. But fear to the Lord is not like that way! AFRAID TO GOD IS ALWAYS BASED ON HEART THAT REALLY KNOWS AND LOVE GOD. Because of love, then people who afraid to God will be willing to bear the Cross, willing to deny ourselves and obey to God, will do vision and mission from God and not seek its own advantages. The fear of God will make someone stand firm in the truth path. Because of love, they will not sacrifice their precious relationship with God just for the sake of temporary world achievement. Only through communion with Holy Spirit and God-fearing life will be born leaders that have great capability, wise, and endure to go through the process to be more trusted. The last but important, let us be a godly leader who is not expect reward. Integrity is a rare commodity in this world. It is not universally admired. Much easier for many to cut corners and compromise, put ethics aside. But promotion and monetary gain are not what a godly leader seeks. As a Christian leader, our goal is to do what is right, even if that requires sacrifice; to lead those placing their trust in us in such a way that they will, themselves, grow and develop along godly lines.